On Sept. 4, 2004, a 19-year-old college student was left in an empty guest room at a fraternity house. People left her there to sleep and sober up, but she never woke up. Samantha Spady is one more college student to lose her life because of alcohol. On Wednesday, March 16th, Zeta Tau Alpha held The Sam Spady Story presentation for students to learn about Spady’s tragic story. ZTA organized the event so that students could learn about the signs of alcohol poisoning and how to be responsible when drinking is involved. The presentation was an emotional awakening. The speech’s purpose was to make the audience aware that when people are under the influence of alcohol their judgment is heavily impaired and sometimes, bad decisions are made. Spady was from Beatrice, Nebraska; she was a sophomore at Colorado State University. She was just like any other 19-year-old, enjoying the college life. On Sept. 4, there was a huge rival football game — University of Colorado vs. Colorado State. Spady’s drinking started when she and her friends attended a friend’s party. Throughout the night, they went to a few different parties. She was consuming both beer and liquor all night. It was like any other crazy night at college, people offering drinks left and right. What these people didn’t know is that Spady would later be left in a room, where she would pass away from alcohol poisoning. Around midnight, Spady went to one of CSU’s fraternity houses for a party. Observers saw her there until around 4 a.m. When her friends were ready to leave, Spady could barely stand. A couple of her friends in the fraternity carried her up to a room filled with couches and other unused items. Her friend made sure she was breathing and made several attempts to wake her up and make her walk home, but they were unsuccessful. She left her there to sleep it off. The next day, around 6 p.m., a member of the fraternity was giving his mother a tour of the house. They came upon the room where Spady was put to sleep found her dead, barely on the couch anymore. Spady’s alcohol content was 0.436%, more than five times the legal limit. “No one intended for Sam to die that night,” said the minister at her funeral. A common myth about binge drinking is that it is normal for people to pass out from drinking too much. About 1,400 people die every year from alcohol-related incidents. If a person has any of these symptoms: unconscious or semiconscious, breathing less than 10 times per minute or irregular breathing, cold/clammy skin, cannot be woken up or vomiting without waking up, then they could have alcohol poisoning. When anyone is experiencing these symptoms, you should call 911 immediately. Sam was class president, cheerleading captain and in the honor society when she was in high school. Nobody is immune to the negative results produced by alcohol. Spady’s parents shared their story with the world to keep students aware and to try to save as many lives as possible. 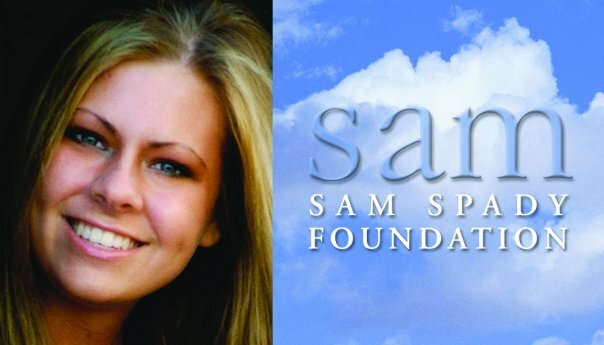 To learn more about the Sam Spady Foundation, visit samspadyfoundation.org.